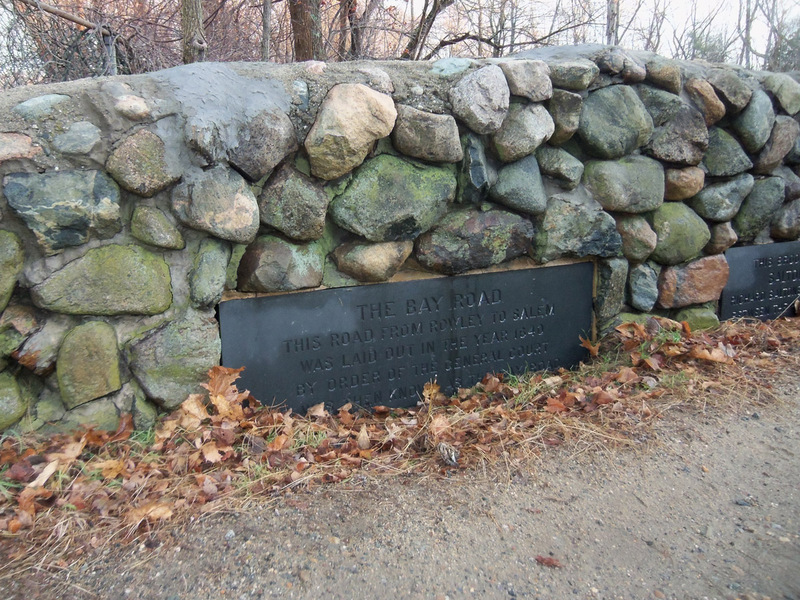 Bay Road plaque on the small Saltonstall bridge near the Ipswich YMCA. 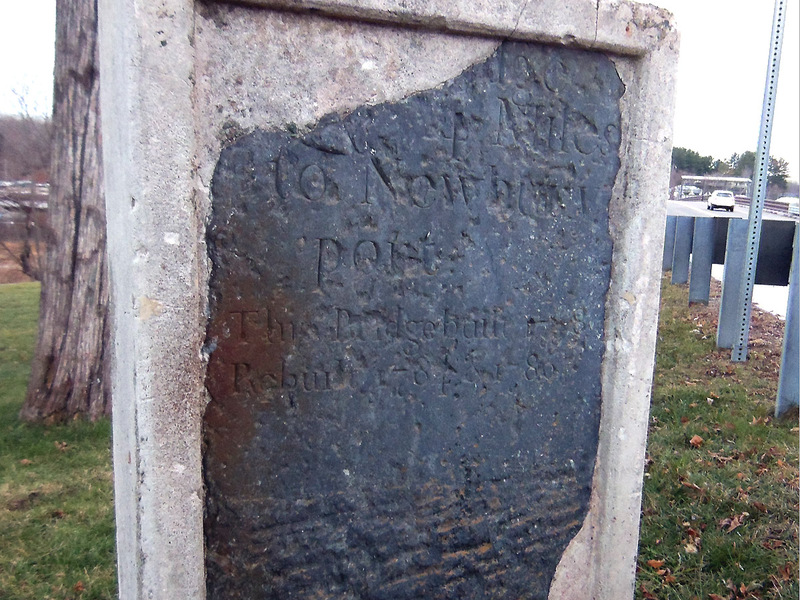 I n November 1639, the General Court in Boston ordered that the first official road be laid out from Boston to Portsmouth. 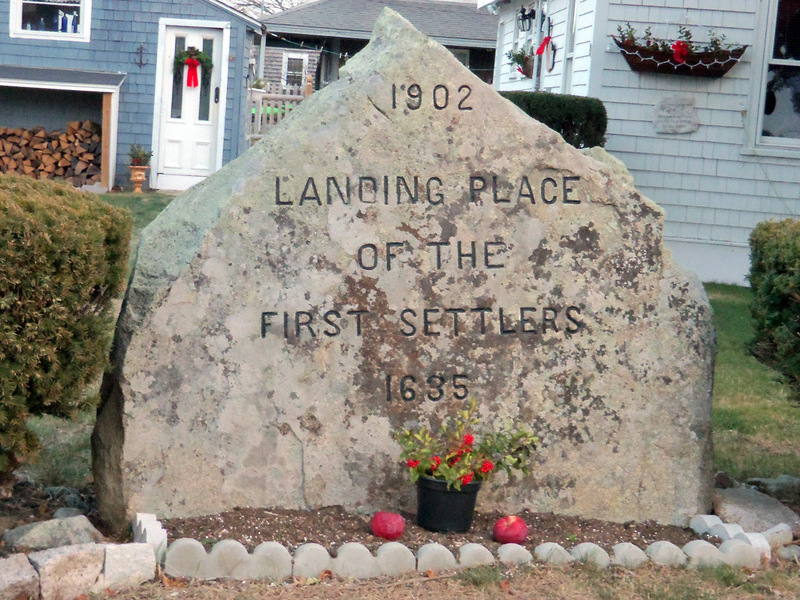 Bay Road was to be constructed by each town along the way and milestones carved in stone were installed to indicate distances. 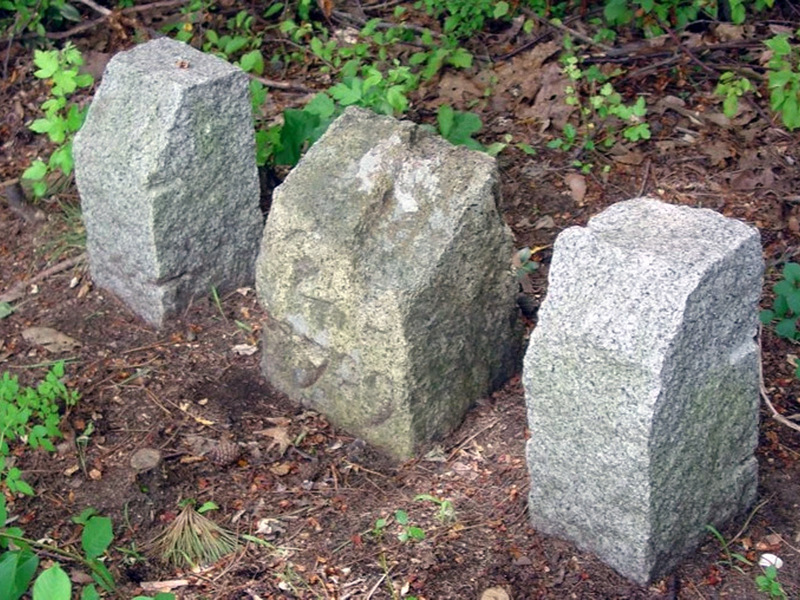 Milestone 21 is close to the Tercentenary sign on Rt. 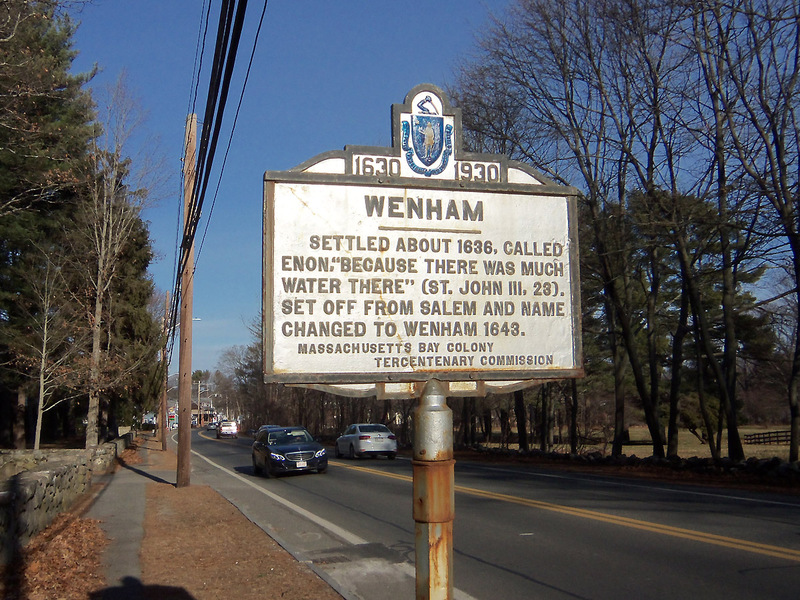 1A in Wenham. 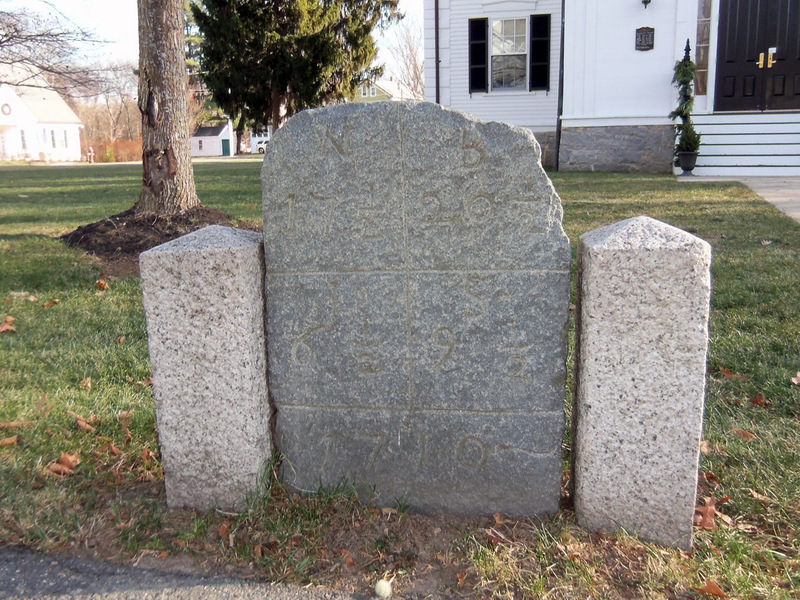 Milestone 17 1/2 on Route 1A, Wenham, MA Milestone 17 1/2 on Route 1A, Wenham, MA This milestone is in the middle of town. It reads, “N 17 ½” Newbury seventeen and a half miles, “B 20 ½” Boston twenty and a half miles, “S 9 ½” Salem nine and a half miles, “I 6 ½” Ipswich six and a half miles. It is dated 1710. 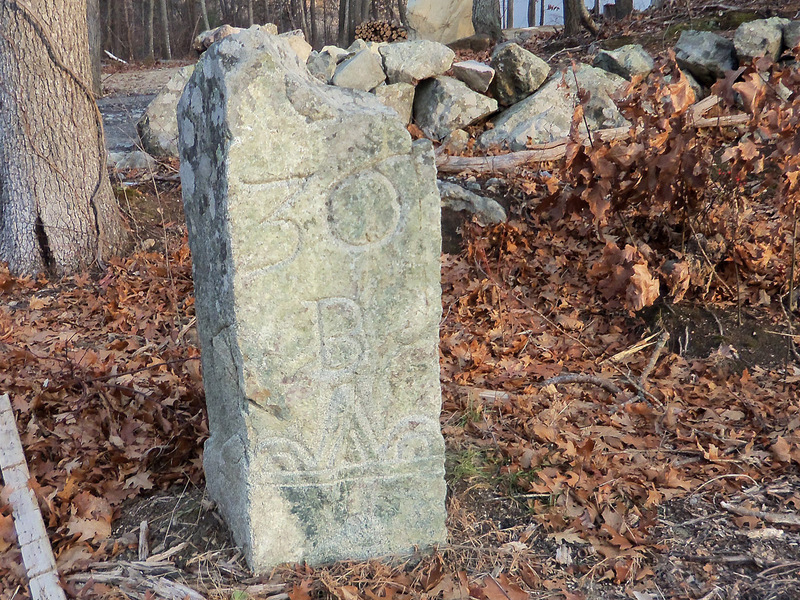 Milestone 20 on Route 1A, Wenham, Massachusetts. It reads “I 7” Ipswich seven miles, “B 20” Boston twenty miles. It is dated 1710. 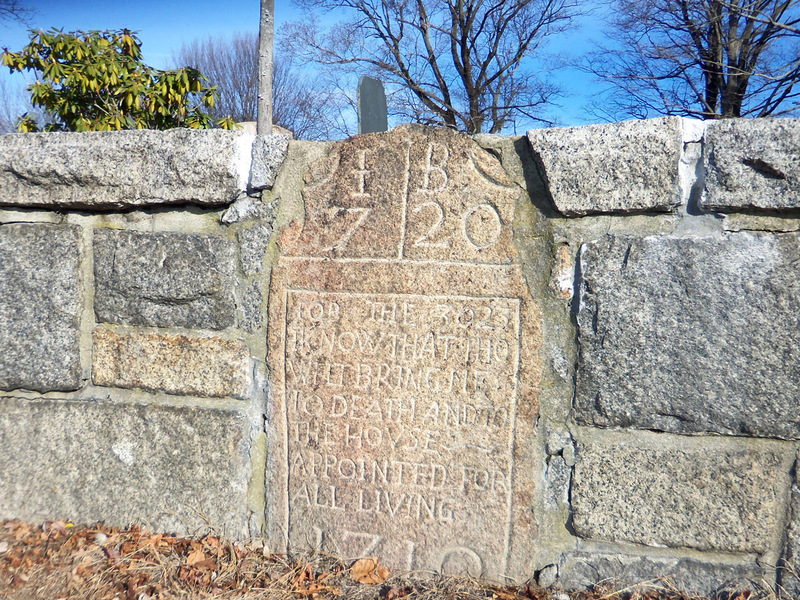 The saying reads, “Job the 30 23 I know that thou wilt bring me to death and to the house appointed for all living.” This milestone was erected in front of the meeting house and burying ground. 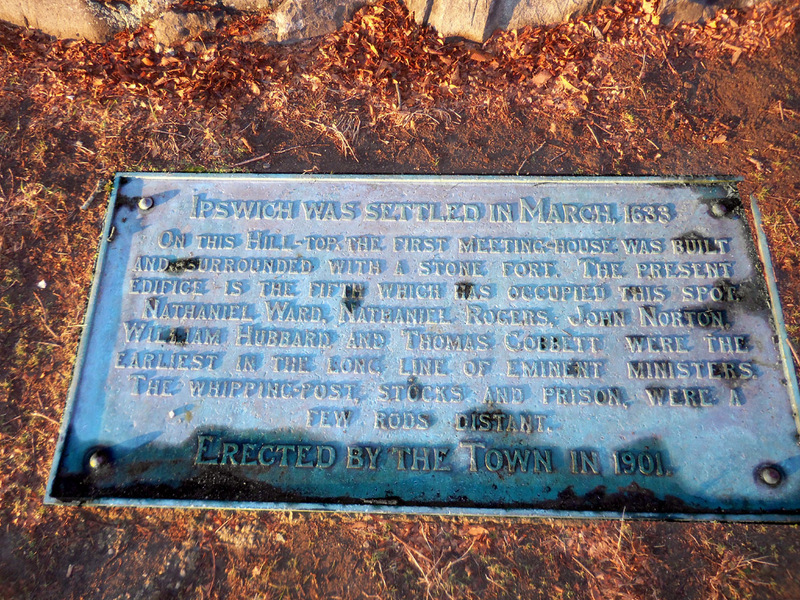 Plaque on the boulders near First church on Town Hill in Ipswich. 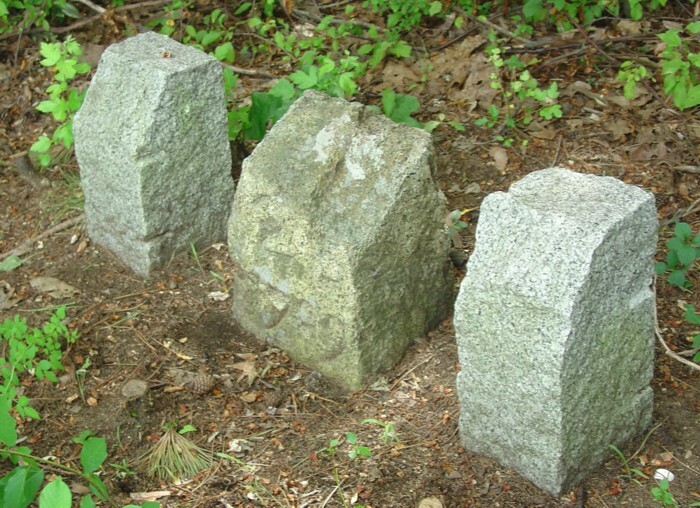 Two large stones were placed at the entrance to Common Land of Rowley as a boundary, marking the end of town limits. 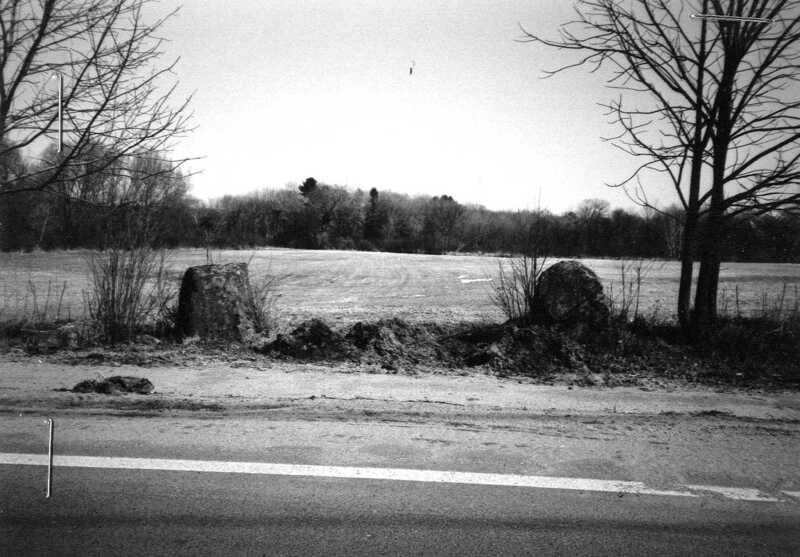 Photo from the MACRIS site, around the year 1980. 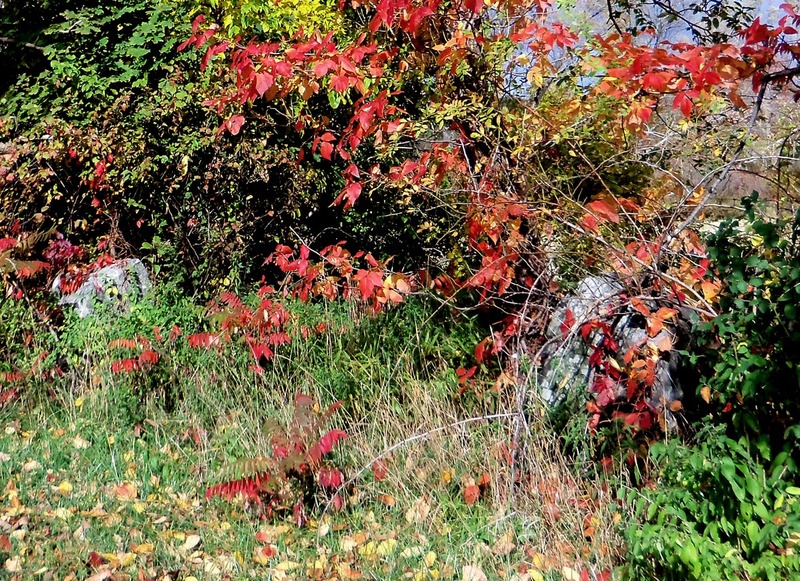 Rowley boundary stones, overgrown. Photo 2016. 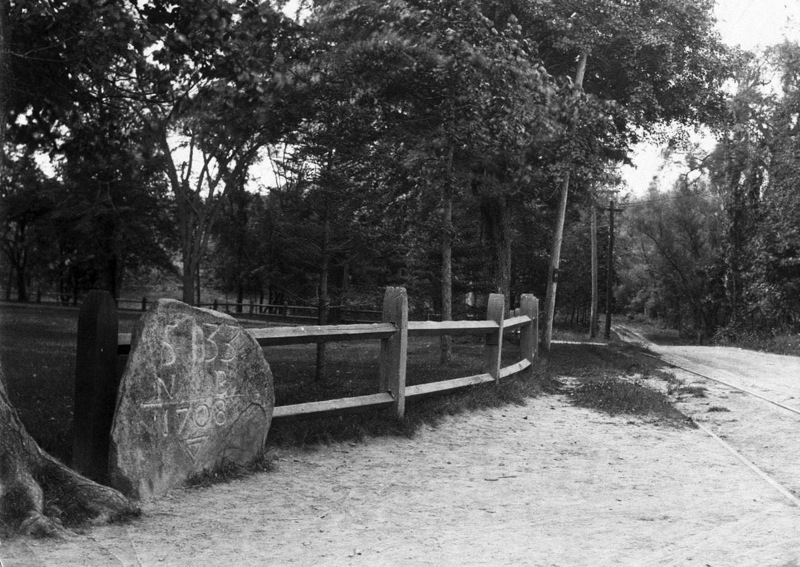 The Glen Mill stone arch bridge can be accessed from Glen St. just off of Rt. 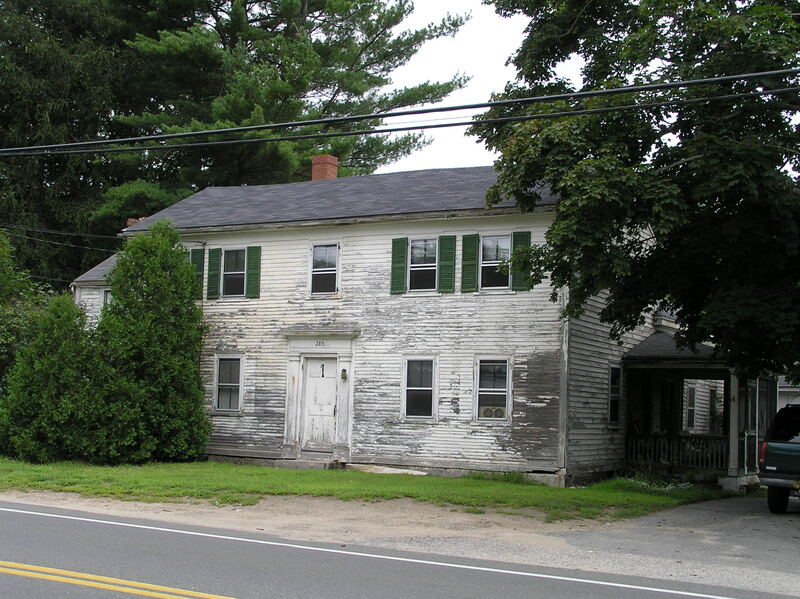 1 in Rowley. 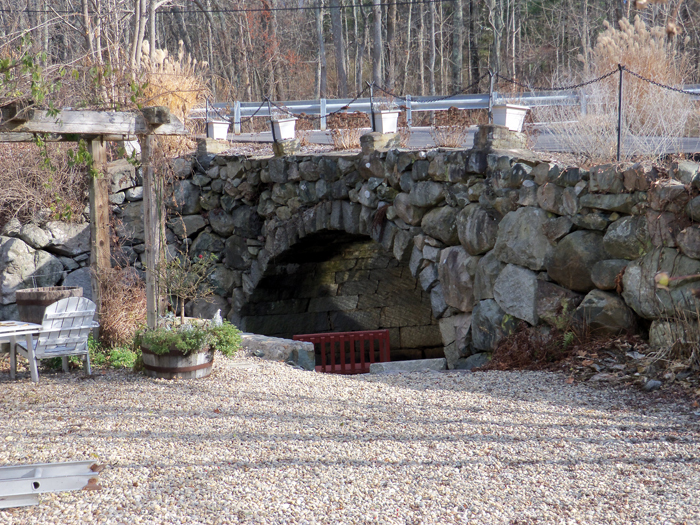 Also known as the Jewell Mill Bridge, it was built sometime between 1852 and 1870. 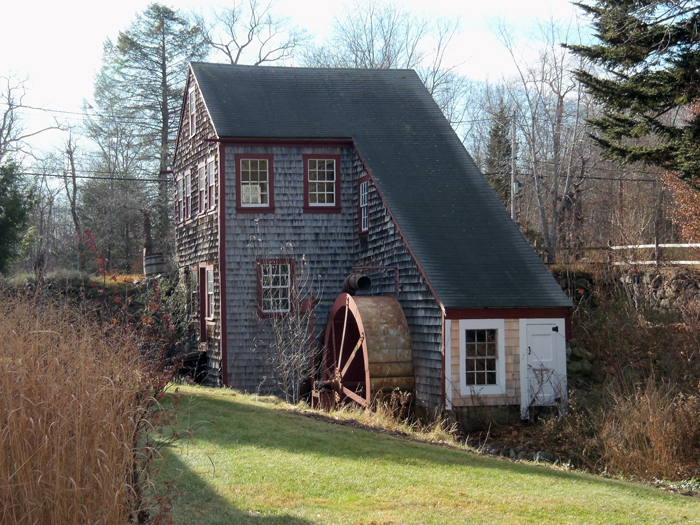 This mill on Glen St. near Rt. 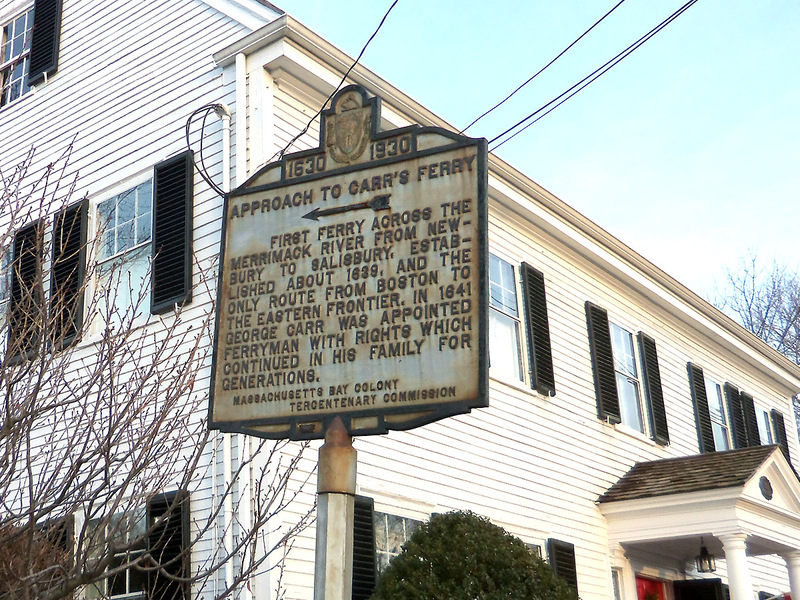 1 in Rowley was the first fulling mill in the American English colony. 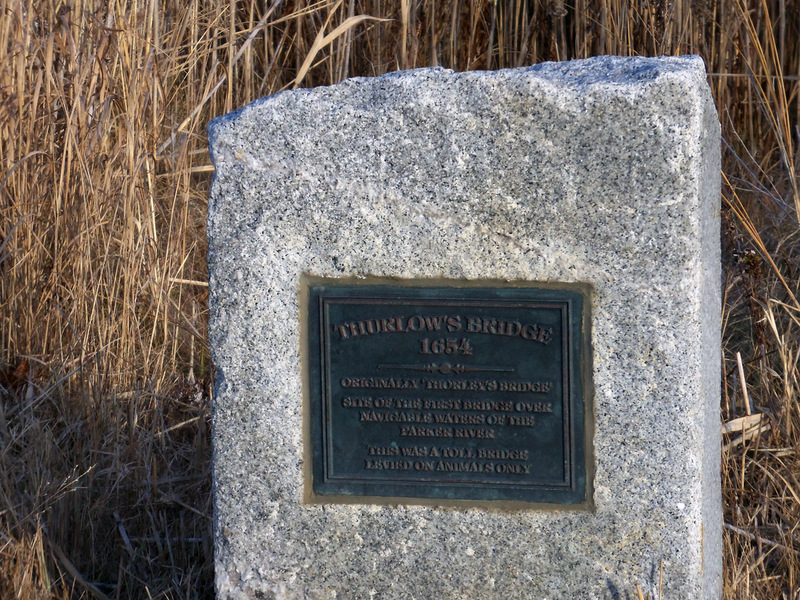 A bronze historical marker for Thurlow’s bridge is on Middle Rd. 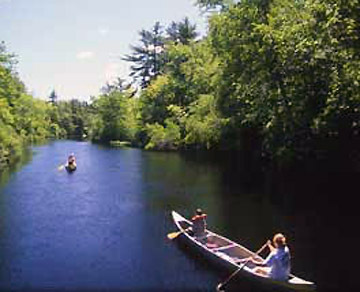 in Newbury where the Parker River crosses. Mileston 34 is on Middle Rd. just after Thurlow’s Bridge and is said to be a reproduction. 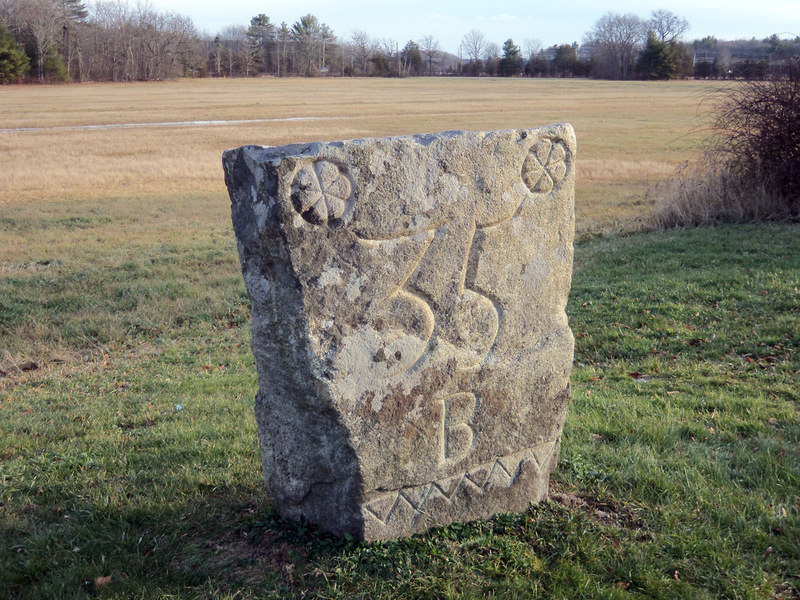 Milestone 35 is on Middle Rd. in Newbury near the interesection with Boston Street. 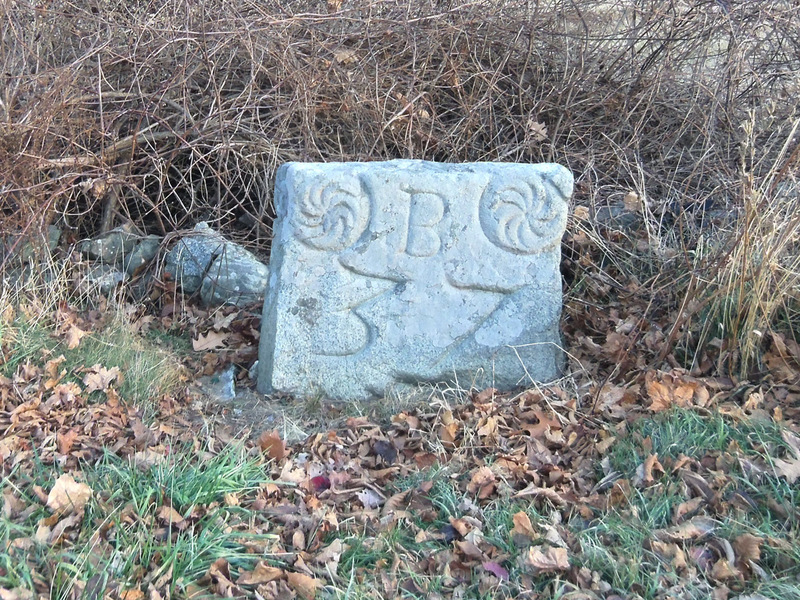 The stone was carved by graverstone carver, John Mullicken of Bradford, MA circa 1735. It reads “B 35” Boston thirty-five miles. 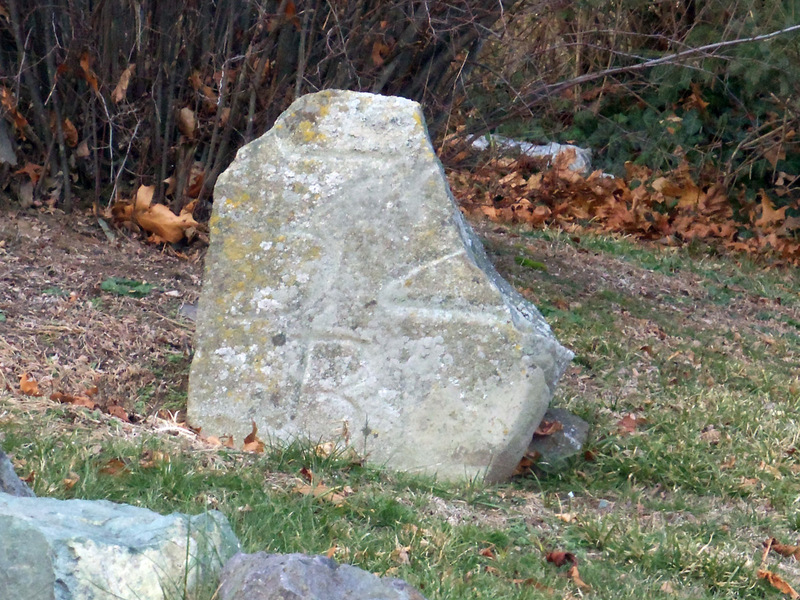 This milestone has two sets of geometric designs. 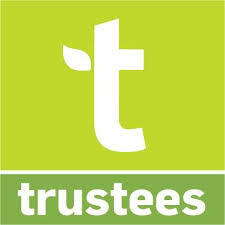 Note the line of triangles across the bottom edge. 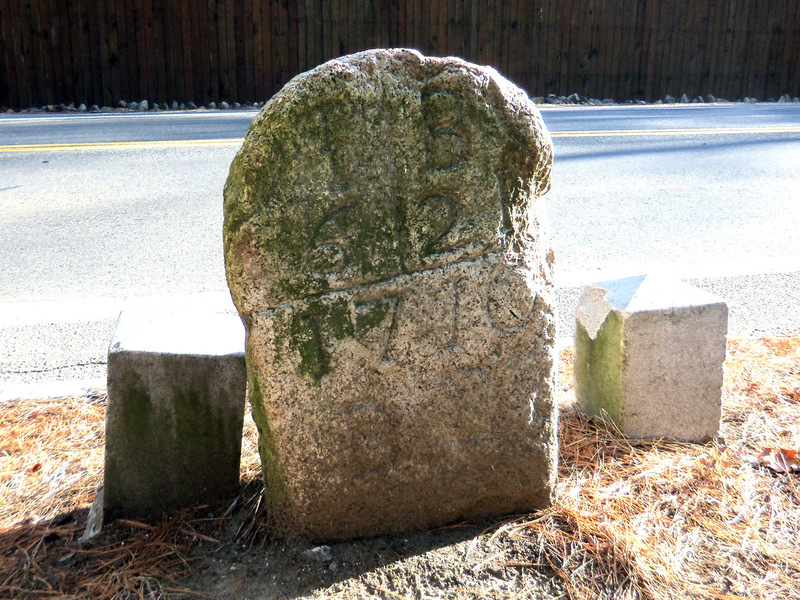 Milestone 36 is on Boston Street in Newbury. 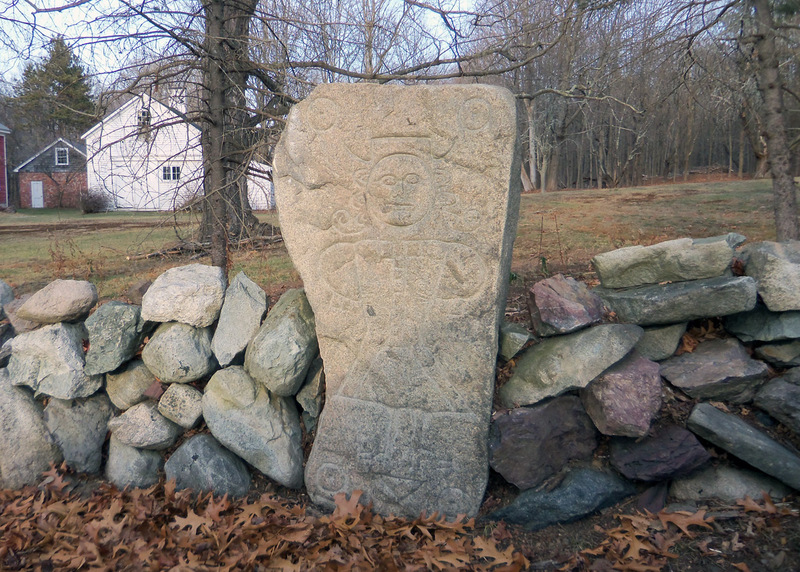 he stone was carved by gravestone carver, Robert Mullicken, Sr. of Bradford, MA circa 1735. It reads “B36” Boston thirty-six miles. This marker is on Rt. 1A at the Parker River, about half a mile from the Old Bay Rd. 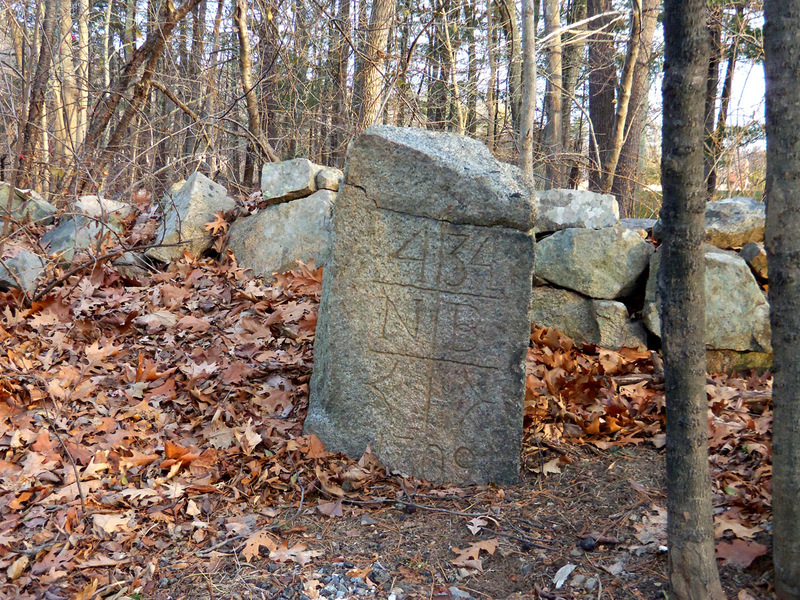 This large stone is near the Parker River on Cottage Rd.